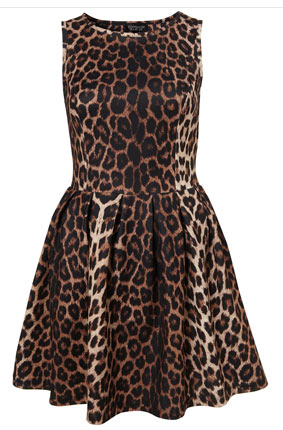 If I could buy one thing this week, it would be this animal print dress from Top Shop. I am in the process of looking for a job and need to start looking for a work wardrobe. I think this dress is fashion forward and work appropriate. Pair with a blazer and pumps for a great office look or statement shoes and brightly coloured clutch for a fun party look.